A sweet new baby or expecting parents gift for a baby boy. 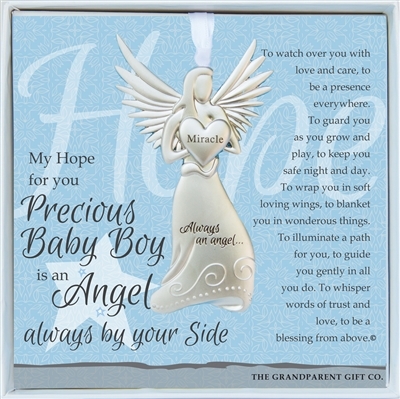 Welcome the precious little angel into the world with this beautifully crafted guardian angel ornament. Angel medallion hangs on a white-satin ribbon and is perfect for year-round display. Measuring 4 x 2.25", our new baby angel comes gift-boxed with artwork featuring words of love for the new baby boy. An ideal baby shower gift for a baby boy, also available in titles for Christening, Baptism, Dedication, and more. 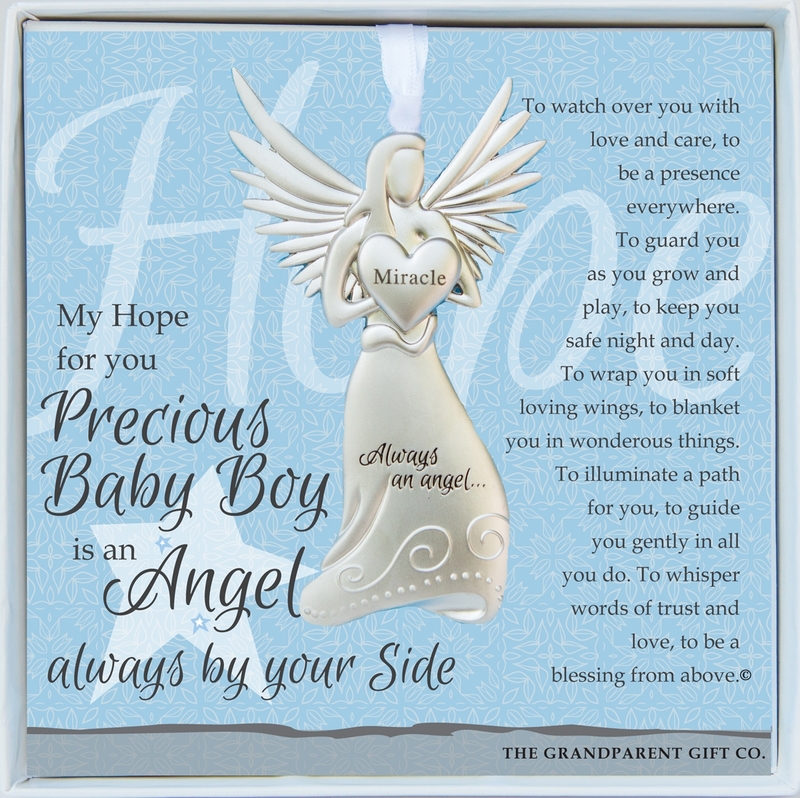 The perfect gift for new parents&emdash; he will always have an angel by his side.